Theo Dorgan explores the way the poet WB Yeats is still an important presence in the cultural and public life of Ireland and the wider world, 150 years after he was born. "Yeats dreamed Ireland into existence," says the poet Paula Meehan. 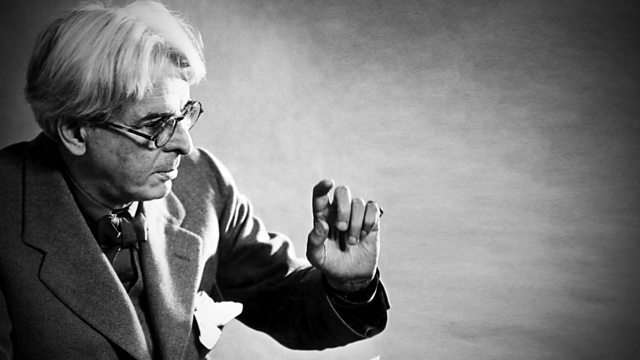 WB Yeats was born 150 years ago. He is still a vital presence in the cultural and public life of Ireland and the wider world - his poetry is read all over the globe. In Dublin, poet and broadcaster Theo Dorgan investigates the eternal appeal of his art, with readings of the poems by Jim Norton. His early poems, drawing on the faery tales of ancient Ireland, are often dismissed as whimsy. But Paula Meehan, Ireland's current Professor of Poetry, argues that throughout his life magic was crucial to Yeats. At The Abbey, created by Yeats and Lady Gregory as a national theatre, its director Fiach Mac Conghail reveals how this dreamer was a practical man of the theatre, and a modernist, absorbing dramatic styles from all over the world. Declan Kiberd, the leading Yeats scholar, teases out the complexities of Yeats's character: fervent for independence, yet no democrat; a mythologiser of women who could not establish happy relationships; a lyric poet with steely ambition; the Irishman who failed to learn the language, spent much of his time in England, and never went to the pub. Out of such contradictions Yeats wrote some of the most magnificent poetry in English, not just of the 20th century, but ever. The historian Diarmaid Ferriter shows that the poet, 'a 60-year-old smiling public man', was very effective as a senator. Catriona Crowe, of the National Archives of Ireland, tells Theo what these reveal of his place in the national memory. And Ireland's president, Michael D. Higgins, himself a poet, ponders what Yeats would think of the Ireland he dreamed into being, and the place of poetry in politics today. Bax: Nonet / Elegiac Trio / Oboe & Harp Quintets.